Today my husband and I took a break from the nonstop whirl of Christmas holiday kiddie entertaining and offloaded the kids onto their grandparents (no small thing). 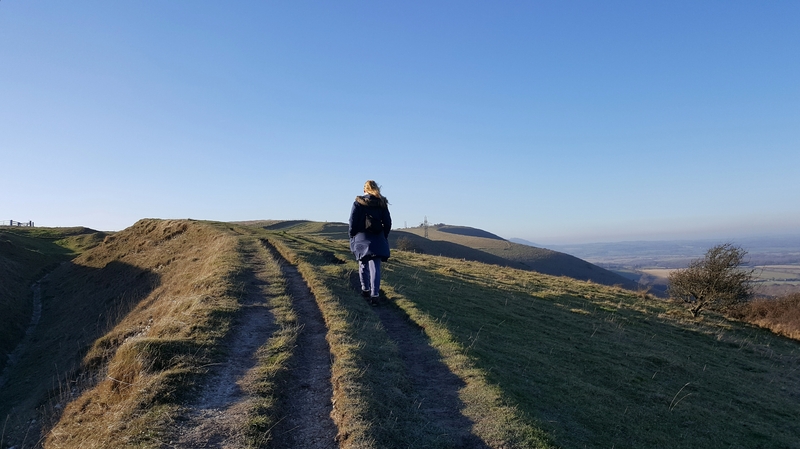 We swapped the stuffiness of the front room and the well-trodden paths of the local park for the sunny South Downs, a gruelling walk and peaceful conversation. It was SUCH a breath of fresh air. Sure, I get that Christmas is magical for littlies. But at the end of a culturally weird, personally challenging year, two weeks with two kids aged 3 and 13 months is, well, relentless. While other people look forward to stuffing their faces with cheese and catching up on Netflix and zzzzs, I will still be up in the night, up before sunrise and filling the days with activities such as ice skating, swimming and biscuit baking. Up there on that bright, blustery hilltop I threw mum guilt and tiredness to the wind and relaxed for a couple of hours. We stopped at a country pub and had a warm mulled cider. I appreciated every minute. I realised that having a break from our children is not a guilty indulgence, it’s a necessity. Alone, it’s an investment in me, an acknowledgement I need a bit of headspace to function at my best – and to enjoy myself without checking on everyone else first! Together with my husband, it’s an investment in our marriage. Opportunities like this are rare and I felt slightly guilty asking for it. But I’m going to do more of it in 2017. Filed under ‘self care’, ‘wellbeing’ or just plain ‘fun’ it’s definitely the resolution I’m most committed to keeping. Happy new year! With 5 babies I can certainly relate to how nice have a break from the kiddos can be. Most of my babies are grown now, and I am where the new babies come. I got to have my granddaughter on New Years and Oh My Goodness she’s such a little blessing. I just love her to pieces. When we woke up this morning, she said to me “Hi Beautiful!”.